One of these nights my garden is going to freeze. It could be tonight, but the forecast says “not yet.” I was out in the garden just a few minutes ago, picking one last bucket full of yellow and striped and green and pink and purple heirloom tomatoes–just in case. I popped several cherry tomatoes in my mouth as I picked. A Purple Pear. Several Pink Bumblebees. Handfuls of the beautiful blue variety, Blue Berries, savoring how each color tastes a bit different. A couple Yellow Perfections, thanking Gene mentally for that gift (one more time). Sixteen more. It’s so hard to stop! One more time, I ruined my dinner with a belly full of fresh tomatoes. “My poor kids,” I mused, burping softly. Later, when I came in from the garden, I was met with an enthusiastic “What’s for dinner tonight, Mom?” (Sigh.) To which I replied: I’mnotparticularlyhungrysomakeyourown,kid . . . “It’s a surprise, Darling!” I’ve thought many, many times this summer that if the old adage “You are what you eat” is true, then I’m a big juicy heirloom tomato, through and through. From top to bottom. Head to toe. Stem to blossom end. An heirloom tomato. That’s me. The wind is blowing cold today; it feels alien and full of promise. Promise of cold. Promises of pink-tipped noses and numb toes and chapped cheeks and clouds of your own breath in front of you. Yup. It’s coming. But it’s not here yet. The sun is still bright, but the air is full of shivery potential. I thought about the murmurings of some of my friends about their own tomato patches, saying that they were tired of their gardens and were so ready for them to get frozen off. I can understand the folks who are ready for their tomato vines to die. All summer long, a certain amount of time each week is allotted to picking and processing tomatoes, if you plant more than a few plants. If you ignore them, you feel guilty. All that work, the hungry children in Africa, waste-not-want-not, and so on. I get that weariness. I do. I just happen to not be there yet. Anyhoo. I live in Nebraska, you know, so there is a finite number of days during which we can enjoy heirloom tomatoes. That’s why I take the choosing of my tomato varieties very seriously. I wrote about my favorites last year. I’ve taken note of the varieties I liked the very best (keep in mind that a neighbor’s 2-4, d spraying at the wrong time, and subsequent drift into my hoop house and resulting and tragic demise of a few varieties–not that I remember such sad events with rancor–meant that I didn’t grow as many plants as I usually do but GOSH, folks, watch those weed killer sprays!!) and I took pictures of them so I could share them with you, my Gentle Reader. I have a weak spot for pink tomatoes. And this one produced beautifully and was one of the best-tasting pink ones I’ve grown. Even now, when many of the other tomato plants are done, my Dester plants are still churning out the fruit. This is really convenient for the tomato geeks like me who never get tired of picking tomatoes. I’ve grown Green Zebras for many years. 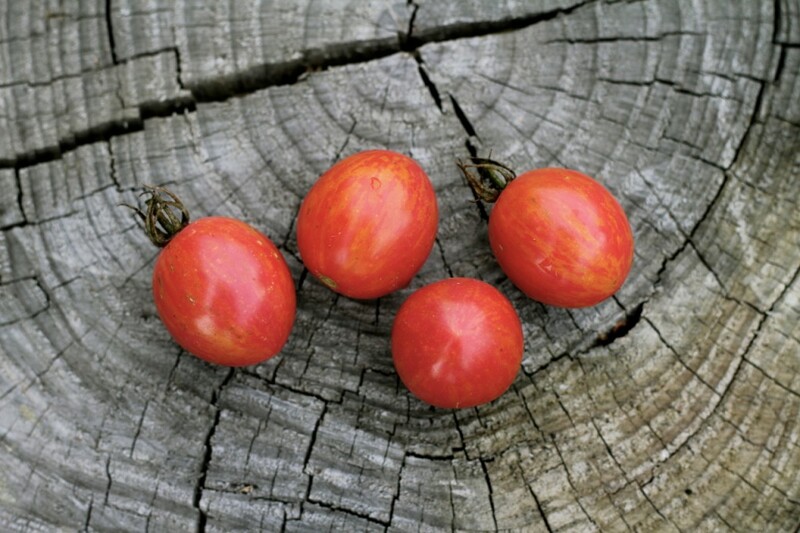 Not only are they wildly prolific, they are a great-tasting tomato, very juicy and sweet, with a nice zing to them. Also, they don’t have a problem with cracking. I only have a couple of Green Zebra plants, but they produce buckets–honestly, buckets!--full of these small green striped fruits every week. Sliced up, they are very pretty in a salad with other colors of tomato slices. You don’t pick these beauties individually; you pick them by the handful. They are amazingly prolific, the plants just droop with clusters, and they have a rich taste that is just addictive. And aren’t they pretty? They add a lot of interest to a cherry tomato mix. 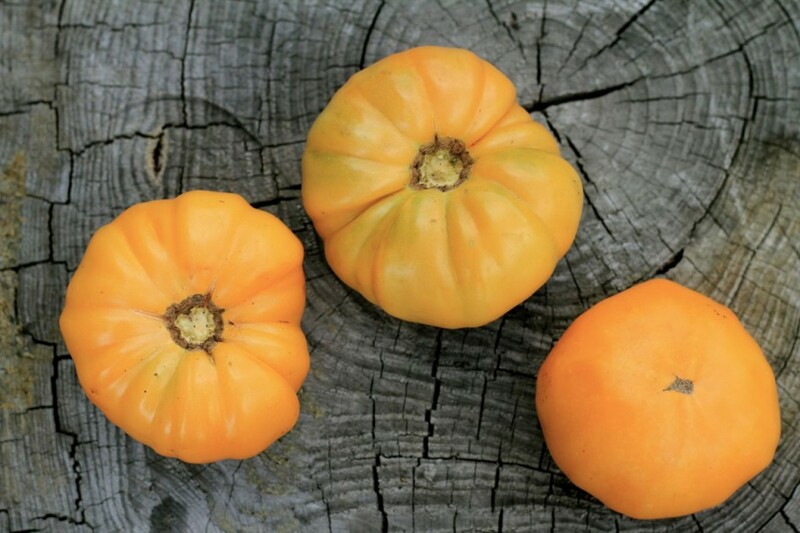 This is the most popular heirloom vegetable, and there are many good reasons why. The plants produce very large tomatoes with superb flavor and they are just beautiful. You know how I feel about pink. I just love pink tomatoes. This variety was prone to some cracking, but the size and the taste are worth this risk, in my opinion. This is one tomato that my market customers request every year. It seems that everybody who knows anything about heirloom tomatoes favors Brandywines. I’ve been excited about this tomato for years. I saw it in the Baker Creek Heirloom Seeds catalog in 2012, and tried to order seeds, but the supplies were limited and I didn’t get any. (Heartbreaking!) It’s a new, small cherry variety from Brad Gates of Wild Boar Farms. 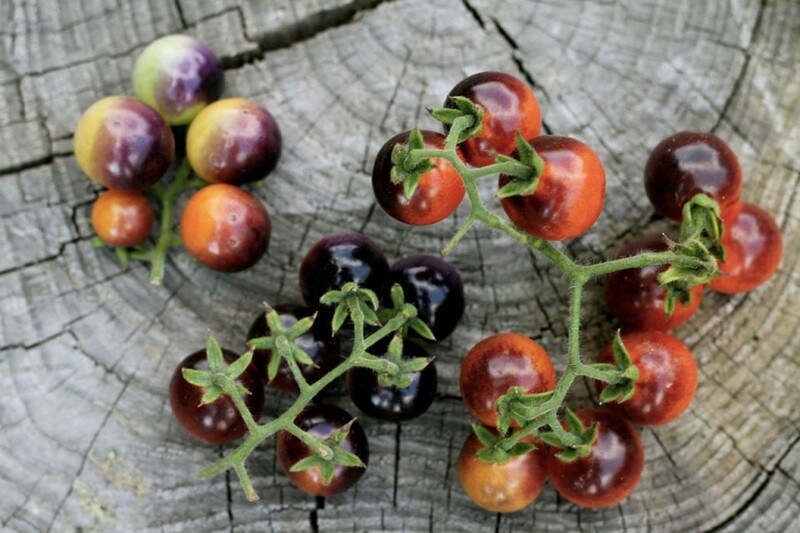 Do you know about blue and purple tomatoes? The very dark purple color means it’s super-rich in anthocyanins, which are powerful antioxidants that are also present in blueberries, blackberries, red cabbage, and many other fruits and vegetables. I think they reverse aging or something wonderful like that. In any case, I feel very virtuous about eating as many of these foods as possible. To my delight, I did obtain seeds this year, and I was not disappointed by this tomato! The plants are loaded with fruit all the time, and the little tomatoes change in color: from green to a rich shiny purple blush (where the sun hits them) to orangey-red. I had one plant even produce a yellow color with a purple blush! The fruit is not as sweet as some cherry tomatoes, but is tangy and delicious. I love this tomato! It was definitely worth the wait! It’s a show-stopper at market, too. This is another blue winner! Late in the season, the plants are still producing like crazy, although they were slow to ripen early on. The deep purple color indicates a very high anthocyanin content, again meaning that these tomatoes are a nutritional powerhouse. So awesome that they are also delicious and crack-resistant! 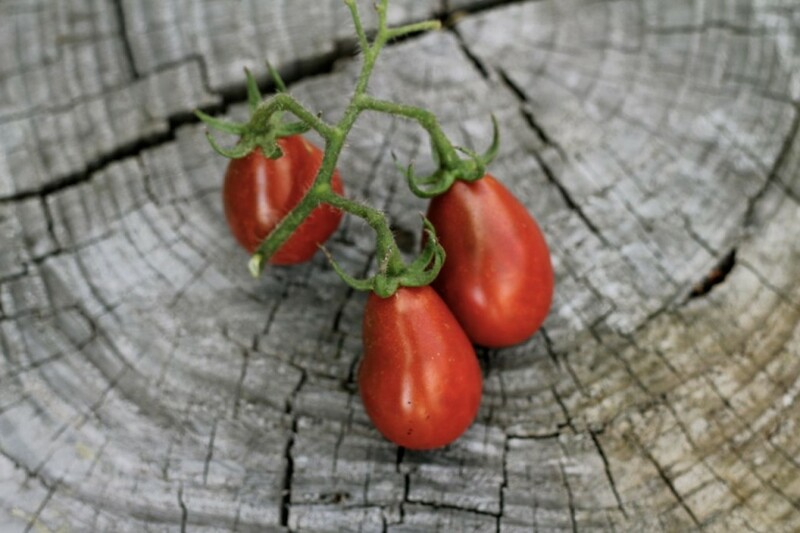 When ripe, they are meaty and similar to a paste tomato in texture. An impressive little tomato! This is one of my top producers, year after year. It was one of my favorites last year, too. 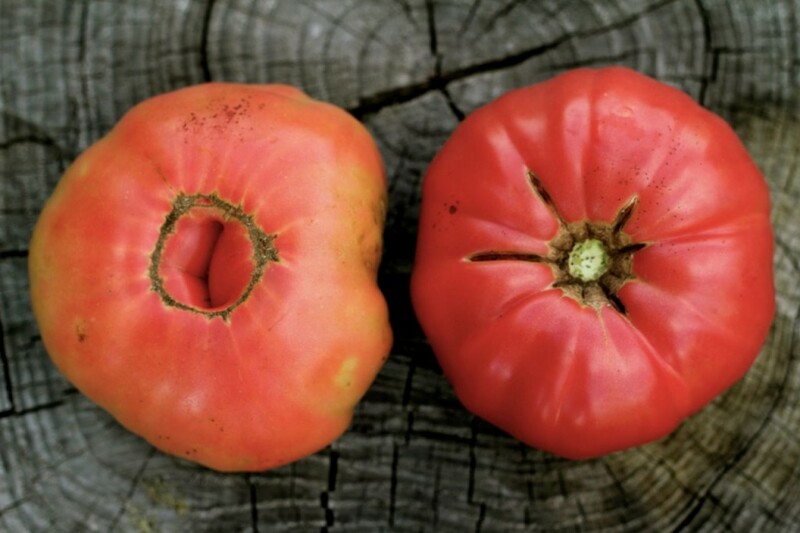 This heirloom was introduced to Seed Savers Exchange by the late Dr. John Wyche, who at one time owned the Cole Brothers Circus and used the manure of the elephants to fertilize his heritage gardens! The plants produce very large, beautiful deep yellow slicers, with a waxy, crack-resistant skin. It has all the attractions of heirloom tomatoes, without the negatives. These are just beautiful, consistently very large, and have a mild, sweet taste. If you are bothered by acid in tomatoes, this might be one for you to try. Early this spring, when I paid a visit to my friend Gene, he gave me a few tomato plants, the varieties of which I hadn’t heard of before. It was early enough in the season that I had just planted my tomato plants out, with no hopes for ripe tomatoes for months yet. But the plants that Gene gave me already had several fruits on them. This variety became one of my favorites, producing large numbers of clusters of pink heart-shaped tomatoes all season long. The fruit is very meaty and great for sauce-making. And did I mention they’re pink? Another one of the plants that Gene gave me, this was the first tomato I ate this summer from my garden, so I’ll never forget it. You know how special that first tomato is, especially if it’s sweet and juicy and yet a bit tangy. This glowing yellow fruit is sweet and juicy, with that irresistible tang to it. Just delicious! And it produces like crazy. I learned to pick these little tomatoes when they were still a bit green, because they get soft very quickly, once they are mature. 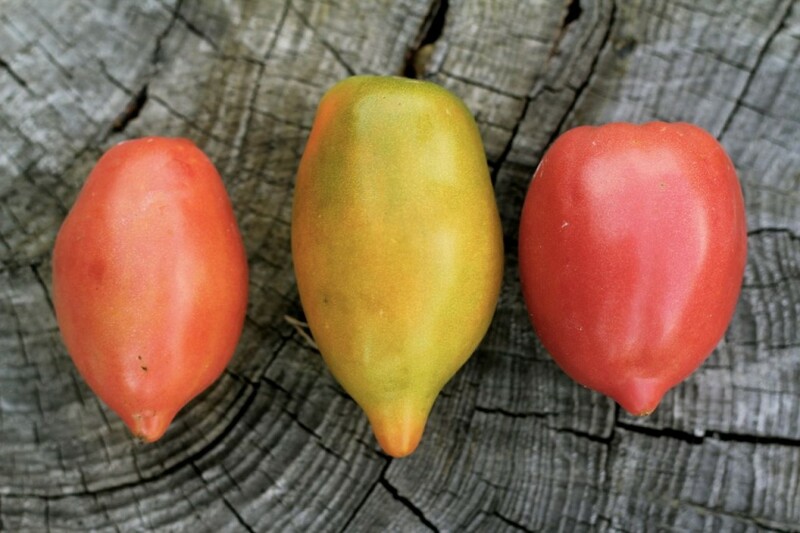 Did you know that tomatoes all used to be this size? That’s what I learned in a book that I’m currently reading, called Eating on the Wild Side by Jo Robinson. I’m going to write a bit more about it when I’m finished reading it. But tomatoes weren’t always big, juicy, and sweet. They used to be tiny, tart, and they had ten times the nutrition of our current tomatoes. These tiny tomatoes are as close to the original tomatoes as you can get, from what I’ve learned from this book. They are a throwback, so I feel a particular sense of kinship with them. Basically, if I was a tomato, I’d be one of these, ’cause I’m a bit of a throwback myself. One plant will produce probably about a zillion (roughly) of these tiny little gems, too, and every time you pop one (or several) into your mouth, you can almost hear your cells sing: “Thank you for that shot of ultra-powerful nutrition! I’m reversing all the aging that I was thinking about doing for the next few hours . . . ” Or at least I can almost hear my cells sing in this fashion. And just look–how cute are they? There ya go. My eleven top favorite heirloom tomatoes that I grew this year. I’m already planning for next year’s garden–are you? Isn’t everybody? In a couple of months, I’ll plan to do another tomato seed giveaway, and I’ll try to include some of these faves. 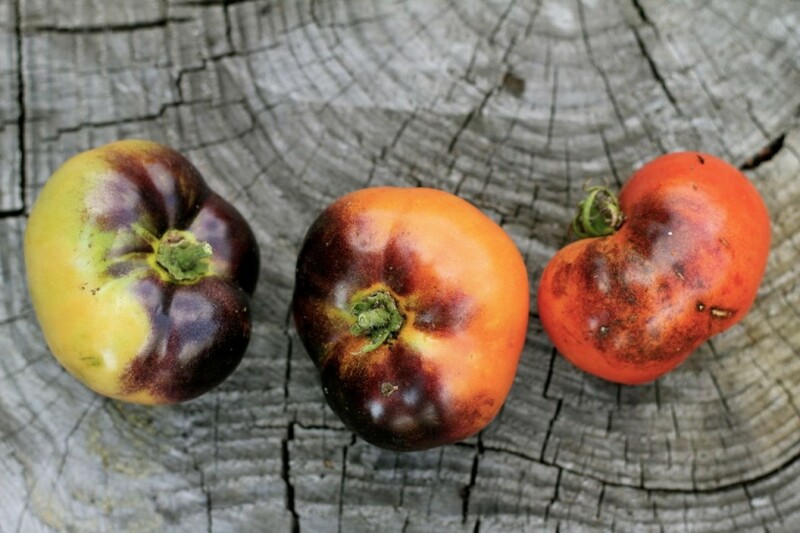 Tagged on: favorite heirloom tomato varieties, growing heirloom tomatoes, how to decide which heirloom tomato varieties to plant, which heirloom tomato varieties should I plant? I think I have loved my tomatoes this year as much as you have. They were producing right into the heat of the hot Texas days when suddenly they just quit. Just like that. Now it may have something to do with the fact that my new baby chickies arrived and we had to be very vigilant about finishing the “hoop coop” where they will live, along with an avocado tree and some thornless citrus trees. I hope that the tomatoes will make a fall comeback. I noticed some new tomatoes forming, and because we live in Texas and they are selling tomatoes in the nurseries, I think I have a good chance at a fall crop. My favorites? I like the Black Krim but they are not so prolific as some of them. I like the sheer numbers from Moneymaker, but the skins are tough. I like all the ones that have black/purple on them. They seem to be tastier and were a favorite of friends who came over to can with me this summer. We did little taste tests through the garden! I bought my seeds through Baker Creek this past year and were really happy with them. Part of the better success was that I paid special attention to plants that would grow well in hot, or in hot and humid climates. Gone are all those northern favorites. I just had to turn my face away from them even though they sounded wonderful. They just can’t survive the heat down here. They melt like chocolate held in your hand. In other words, they wilt away to nothing. I have enjoyed following you on your trip but didn’t have the chance to respond to the wonderful trail of stories you sent. They all reminded we of the most wonderful vacation I took quite a few years ago with my sister, mother and father. We drove a 10,000 mile trek around the perimeter of the US and up into Canada. So many places you described were places we visited. Thanks for the wander down memory lane. Now I have been preparing for a long winter’s visit from my mom and sister who live in the northwest. They just arrived and we are having a good time. I hope the tomatoes come on strong so I can make some salsa while they are here. Neither one will love it, but I will, to be sure! 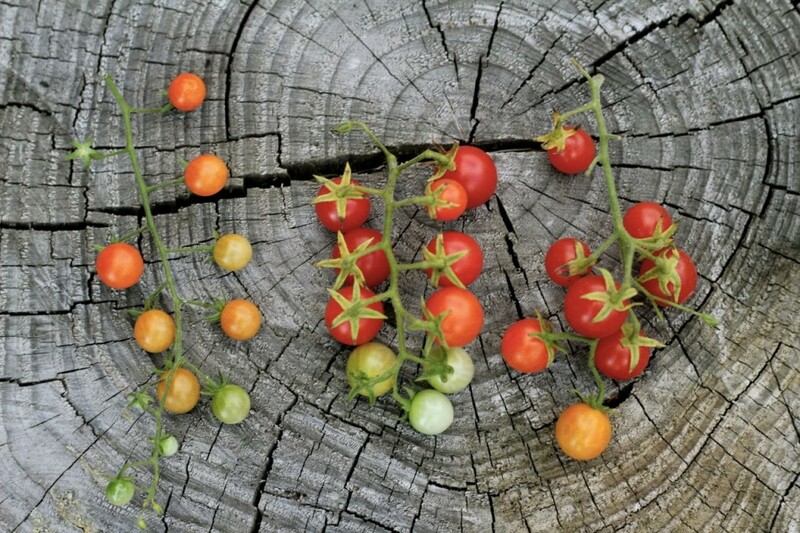 So back to tomatoes – I need to find out how to make my tomatoes not split! All of them had problems and by next year I need to find the solution! 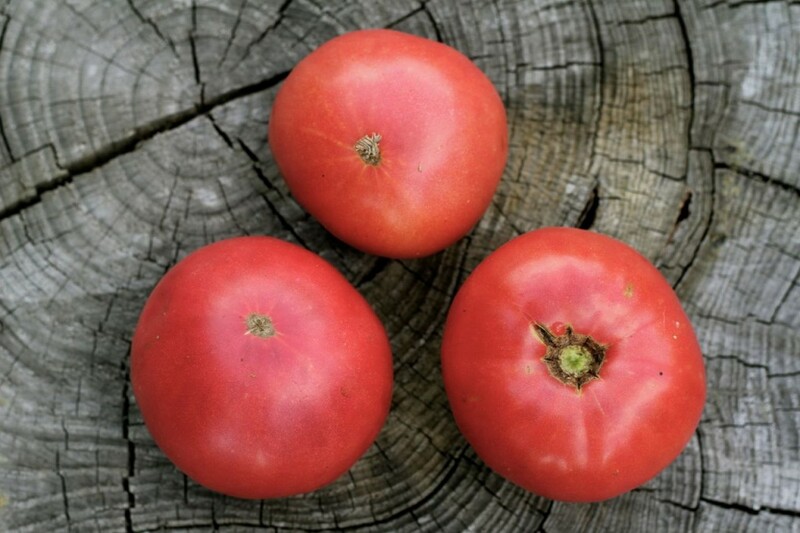 I was SO happy to read this post and find Indigo Apple tomatoes pictured! We acquired some at the Rodale store near our home! They had planted them along side the building, and we got permission to.harvest some! They’re wonderful! The young man working there didn’t know anything about them, so I was thrilled to find them in your blog! Now I want to find the seeds in their store so we can plant them next year! 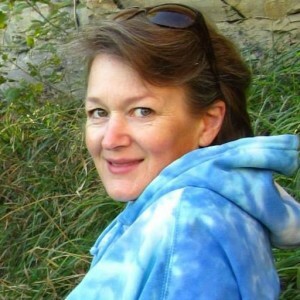 Thank you Amy for another wonderful blog!!!!! I was tickled by these tomatoes as well. If you need more seeds than you can save, you can buy them from Baker Creek Heirloom Seeds. That’s where I got mine. I have never eaten half of these types of tomatoes, I wonder how different they all taste. Nayna, they all do taste like tomatoes—-but some are sweeter, some are more tangy. They all are delicious! Those look beautiful and delicious! The only thing we successfully grew down here in Phoenix was a cherry tomato plant. It yielded quite a bit! 🙂 I have always wondered where to buy heirloom tomato seeds and if they are terribly expensive? Is the catalog you mentioned the best place to make orders? Where will you be in the spring, Chef? You could plan to put a couple of plants in then. And I’m still working on the piggie idea . . .
Our tomatoes didn’t turn out that well this year. With the semi-drought and wind, the plants got torn up! Got a few on each plant, but nothing like last year. We had a good tomato year here in Nebraska, Scott, though it was slow going at first because of the cool early summer. Wow, I had no idea that there so SO MANY different types of tomatoes!! It’s on our list of what to grown next year when we make a garden. That is quite a lot of types of tomatoes, I’ve never had most of them. We did not grow heirlooms this year. We’ve had too many problems with late blight, which seems to have taken up residence in our community garden. Well, I take that back – I grew one plant, a Mr Stripey, in a pot in my front yard. I was not, alas, impressed, with that particular variety. 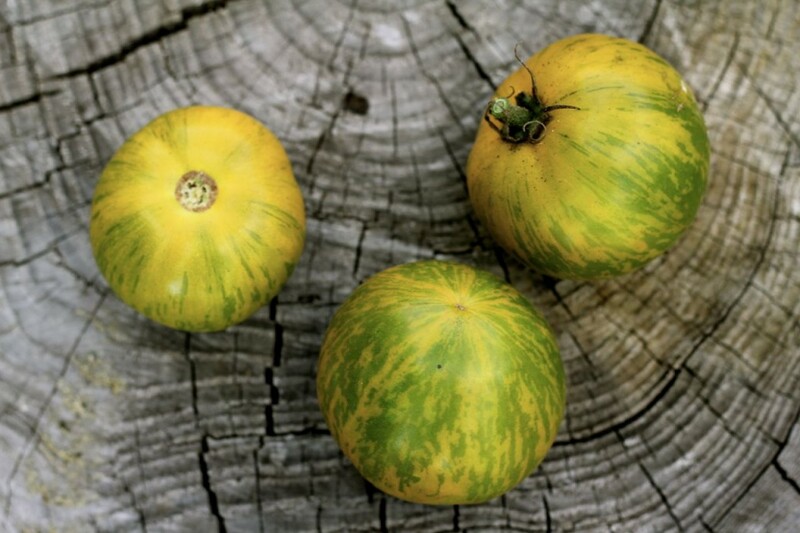 Back when we did grow heirlooms, we only grew a couple of these – the pink Brandywine, and the Green Zebra. Your Blueberry tomatoes have me intrigued. You have tons more energy than I do, Amy! Well, Alana, our soil seems to be really good for heirlooms, although they aren’t always troublefree here, either. One thing about heirlooms: most of them need LOTS of space. I can’t imagine that they’d be very happy in a pot. Some of my vines probably have reached 10 feet or more in height. Thanks for the great advice on heirloom variety types, I cannot eat red tomatoes as they are a trigger for my crohn’s disease. 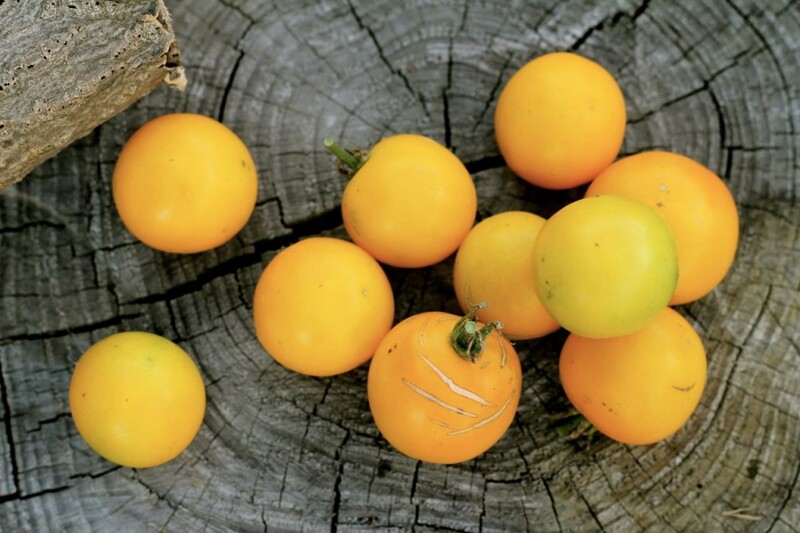 I see there is a variety of yellow tomatoes that is easy on the digestive system so I may just try a couple plants of them next year. I currently grow a hybrid yellow tomato that I can eat from Burpee that allows me to eat chili, pizza and my favorite, lasagna. I really enjoy reading your blog as you have opened my eyes to options that I can incorporate into my garden. I am a third year gardener and I try to absorb as much info as I can to help me learn and make my garden produce much better, and you are one of my resources, thank you so much!! Oh BTW I am like you I keep my garden growing until the cold finishes it off, I still have tomato, sweet and hot peppers plants that are blossoming! The cold and damp spring we had here in Ohio had me concerned about the length of the growing season, but God blessed us by creating a mild enough fall season for the plants to produce better than what I expected! Thank you for the info for the info on where to purchase heirloom seeds, and coming from you it makes me feel better. I will have to order a catalog from one of those vendors. I start all of my seeds indoors in the early spring so by the time the garden is ready for planting all my plants are ready for an early start. I keep refining my starting techniques to make it as easy as possible on myself and not shock the plants. This year with the damp and cool spring I wasn’t able to get them in as soon as I wanted, so I built some cages that will cover the starts that will allow me to cover them if it gets to cold. As far as Facebook is concerned I never use it except to view the pool league page I created, but now I have another reason to use it. I will take a look at it today, after I knock off a few things on my honeydo list. I have been going to a site called Garden Web that is very informative from the same type of great people that use this site, but mostly for the hot pepper forum as I have raised the Carolina Reaper this year, which is the hottest pepper in the world. If you want to view some of the things that I have done with my garden I have posted pics there that shows myself, my garden and my seed starting system, it’s titled petesapie5’s ideas. Well my honeydo list isn’t getting done with me on the puter so have a great day! It’s so great to get to know another Garden Nerd (like myself!). 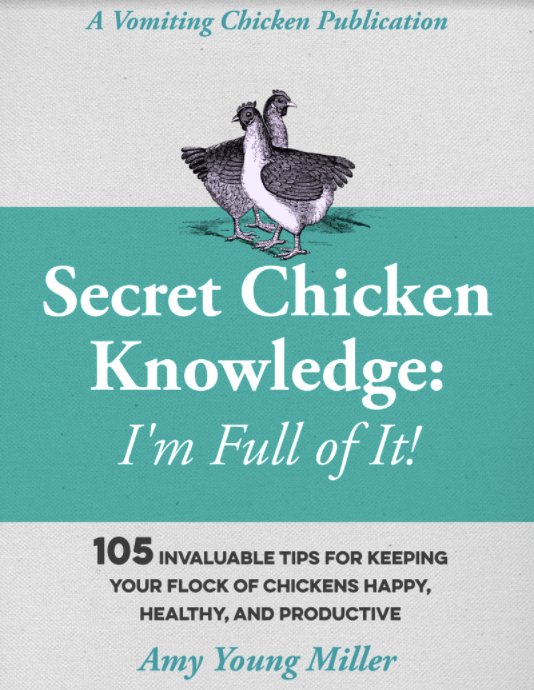 I would order ALL those catalogs if I were you–they are very inspirational, and there are lots of tips and hints for growing in them, too, particularly in the Bountiful Gardens and Baker Creek. Also, they’re free (although they charge for the larger Baker Creek catalog, the smaller one is free, to my knowledge). JUST A WARNING: you may end up with a garden WAY larger than you originally planned on, if you spend too much time poring over those gorgeous catalogs! (You have been warned, Peter!) I am intrigued by the Carolina Reaper pepper, since I thought the Ghost Pepper was the hottest? I don’t suppose you’d part with a few seeds? Maybe we could do a swap? Hello Ann, yes I would consider myself a gardening nerd for lack of a better term, considering how much research I put into it. The one thing that amazes me and always will is the what comes out of such a tiny seed and knowing the fact that I started the seeds and nurtured them into what they become. Thank you for the recommended catalogs I will have to take the time today to order them as it’s such a crappy day today, good day for inside projects. I am planning to increase my garden size, in fact I will have 2 gardens next year, one at my step-daughters house, which is 12 x 25 and another shared garden with my other daughter that will be 25 x 50. Yes I will trade some Reaper seeds with you if you have any of the Dr. Wyche’s Yellow as I am looking for another yellow tomato that will not make me sick. If you don’t have any of them it won’t matter as I will still send you some of the Reaper seeds for you to enjoy. Yes the Ghost pepper WAS the hottest, but a man named Ed Currie created a strain that made the world record books last year. He has a website http://www.puckerbuttpeppercompany.com that I ordered my seeds from last year, I paid $6 for 10 seeds that I got 5 plants from. He has quite a sense of humor especially in his plant and product descriptions, I bought a bottle of sauce made from the Reaper pods called “I Dare You Stupid” and 1 little drop will numb your entire mouth. The plants grow up to 5′ tall and 4′ round and they have produced quite a few pods, I can’t eat them but I bought them because last year my wifes friends said her jalapeno poppers weren’t hot enough, so she made a batch and put 1 pod in the batch. Well needless to say her 1 friend ate 3 1/2 and vomited 2 times and the other friend took one bite and threw it away LOL, I guess there hot enough now LOL. Let me know how many seeds you want and where I can send them to and I will be more than happy to send you them. Peter, I’d love to surprise my son (who loves really hot sauces) with a sauce made from those peppers! I made a habenero salsa last year that he ate by the spoonful. They sound dangerous, though! I’d be happy to send you some Dr. Wyche’s seeds, though I can’t promise that they’ll be pure, since I grow so many types of heirlooms. But I’ll definitely send you some. I’ll send you my street address to the email address you listed, and thank you! Frost has come to southern Alberta a couple of weeks ago and I’m already missing my tomatoes. Here I am already dreaming of next year’s crop. Those things they call tomatoes in the grocery store just don’t cut it. I grow about ten different varieties. I tried pineapple tomatoes for the first time this year. My new favorite! Sweet, very meaty, nice size for sandwiches, and a beautiful color like a sunset of red, orange, and yellow. I saved seeds but I’m wondering if the fruit will be the same or will cross pollination and maybe loss of hybridization effect the outcome? I really need to have this variety again next year. Should I just order new seeds to be safe or do you think it will be ok.
Seminte, good point! I’ve actually done this before, although the last time I saved seed (I grow so many varieties, and so I’m pretty sure there is a lot of crossing going on) I had a variety that had some excellent characteristics (plentiful fruit and beautiful) and some not-so-excellent ones, too (very thin skins!). But it’s always fun to experiment! I like Seminte save my seeds from one year to the next. I not only do it with tomato seeds but all my plants so that they will get used to the growing conditions. I am now in my 5th year of gardening and have found that the plants grown from previous years seeds are better and growing with better stability. I also try to harvest seeds from the biggest and first produced veggies. As for the hybrids I started with, the replanted seeds are finally stabilized and producing great crops. I also start my plants indoors in mid March so they are growing well by the time I can put them outside. I am no pro at this but it sure is satisfying to pick and can what I grow knowing what went into the whole process. Personally I would like to see a course in gardening and canning offered to kids in school, it would let them understand what actually goes into raising and harvesting veggies. I totally agree, Pete, about the value in a gardening/canning course in schools. One big goal in our homeschool is that our children will learn not only the value of these skills, but also how to do them. I am curious: do you save seeds from ALL your crops? Do you worry at all about cross pollination, weird hybrids, etc.? I have been saving seeds from all my crops and replanting them year after year. Any of them that do not do well I will give them a try for 2 years and if they don’t do well, I abandon them and start a different crop. My success rate with replanted seeds is about a 90 percent success. As for cross polination I have not had any problems with it and have found the hybrids revert back to one of the parents after about 2 years and outperform the hybrid. I think it’s great that you have the chance to teach kids how to garden and can, I just wish it was a option to kids to learn in all schools. Thank you, Peter! Would you mind sharing with me how you organize and store your saved seeds? It would be a great help to me! I am a chronically unorganized person, as you probably know! My preferred method of saving and organizing my seeds is with medicine bottles! They work great because I can write whatever it contains anywhere on the bottle with permanent marker. No need to create any label to stick on it, no label to peel off and lose. If I decide to put more than one variety of say pepper seeds in it, I use small plastic bags that can be bought at any department store and write what kind of pepper seeds they are on the bag itself. You can store the bottles in any drawer, shelf, box without the fear of them getting wet or spilling. I hope that this may work for you, works great for me! Brilliant, Pete! I’m going to share this with my Facebook group, if you don’t mind! Thank you so much for taking the time to share this with me. 🙂 You’re a great friend. I love to try to repurpose what I can for things I need, this worked out great. Yes you can share with your FB friends, I just hope someone else will find it as useful as I did, thank you for the kind words, God bless you and your family. Pete, God bless you and your family, too. Keep me posted. I always learn great things from you, my friend!